When a fighter stands just under 5’5″ tall, weighs 115 pounds, and still earns a nickname like “Monster,” it’s a pretty good indication that he might be something special. And in the case of Japan’s Naoya Inoue, we just might be looking at a once in a lifetime talent. Inoue first became a world champion in April 2014, in just his sixth professional fight, when he stopped veteran WBC light flyweight champion Adrian Hernandez in six rounds. After a September 2014 defense, he jumped up to 115 pounds and hammered WBO super flyweight champion Omar Narvaez in just two rounds, on December 30. At just 22, with only eight professional fights on his record, Inoue was already a two-division world champion. The entire boxing world took notice. Narvaez was among the sport’s longest reigning belt holders. His only previous loss in 46 fights had come against Nonito Donaire, who was unable to finish him in, or even really hurt him, in October 2011. Lightweight Japanese fighters do not generally earn a whole lot of attention in North America. But Inoue was too special to overlook. Inoue has made three successful defense since beating Narvaez. On the second anniversary of his defeat of the Argentine champion, he will make a fourth defense against veteran contender and former champion Kohei Kono. 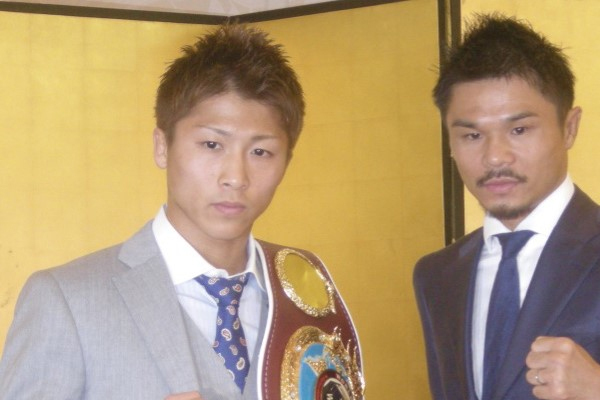 Kono will be among the toughest tests of Inoue’s career. He dropped the WBA version of the super flyweight belt to Luis Concepcion last August. In October 2015, he recorded the biggest win of his career, when he defeated Koki Kameda. So long as Inoue takes care of business this week, 2017 should be a big year for him. Super flyweight is a surprisingly hot division right now. Pound-for-pound superstar Roman Gonzalez claimed the WBC version of the championship there last September, when he edged previously undefeated Carlos Cuadas in a barn burner. Cuadras deserves a rematch. But the winner of that fight should face Inoue.